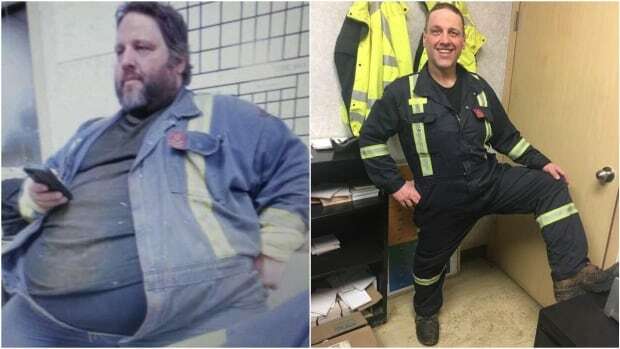 His weight got in the way of someone escaping the Fort McMurray wildfire and Tony Bussey, 43, vowed that would never happen again. In May 2016, everyone thought the worst of the Fort McMurray fire was behind them and they were out of its reach.? Workers, including Bussey, had been sent back to camp and things were moving forward, when, unexpectedly, the fire picked up again. Planes were brought in to evacuate the site. “The fire, for all the destruction, and for all the hell that it caused … it saved my life,” Bussey said. When he arrived at the airport, staff shuffled him to the front of the line because of his weight. It was attention he hated but was becoming used to. At that point, Bussey weighed 567 pounds. He struggled to put on his socks. He wore size 66 pants. And he needed two seats on an airplane. “Seeing people having to wait because I was too fat to sit next to, that was it for me,” he said. He had already escaped the fire once, driving to Edmonton by himself days prior. But it was this moment — physically taking up two seats and preventing someone else from getting to safety — that changed things. He reached Edmonton. And that’s when he started his quest to lose weight. “Three-hundred and twenty-six pounds gone. All naturally. No surgery, no anything. Just watching what I eat and walking,” he said. Even during the evacuation, when he was living out of a hotel room and eating out was his only option, he made the effort. He took the skin off his chicken and ordered veggies instead of fries. He started walking, gradually increasing his exercise time — first five minutes, then 10. He’s down to 241 pounds now, having lost more than half his own body weight. He just bought a pair of size 34 jeans. Doctors say Bussey, because of the weight loss, has about 20 to 30 pounds of excess skin, which he plans to have removed. “And then after that, I want to start in the gym,” he said. His next goal is to run a marathon. He wants to do it in three years, on the fifth anniversary of the fire. And he wants to travel. He moved away from St. Lunaire-Griquet on Newfoundland’s Northern Peninsula when he was 18. He hasn’t gotten home much since because his size made travelling uncomfortable. Bussey wants his story to inspire others struggling with their weight.